BattleTech is the latest title in a long wargaming and military science fiction franchise which dates back to 1984. Starting as a board game titled BattleDroids, this franchise has spawned everything from expansions to original games, several computer and video games, a collectible card game, more than 100 novels, an animated television series and much more. 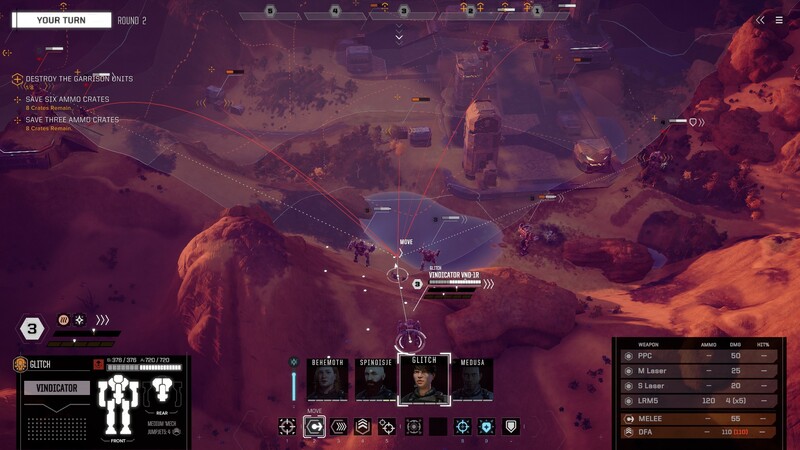 Harebrained Schemes, led by one of the original creators Jordan Weisman, set out to bring a worthy successor to the series, to continue the storyline and bring BattleTech into the era of high end gaming. It is also interesting to note that BattleTech is a successful Kickstarter, which shows people out there (rightfully) believe in the future of this title. 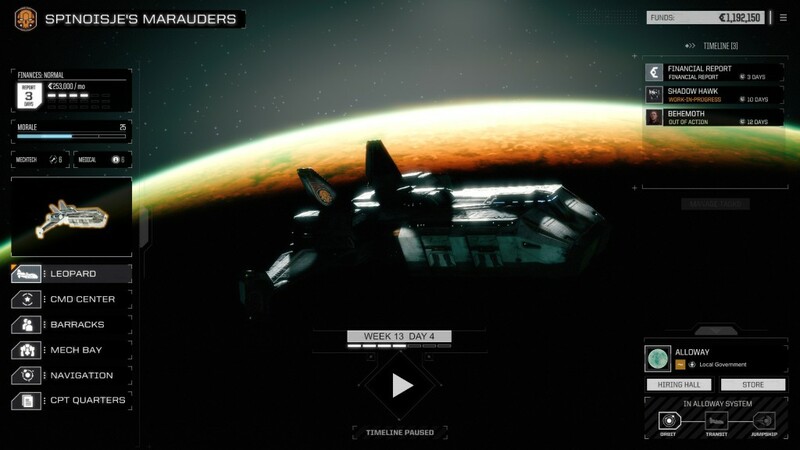 The story is told through cinematic cutscenes which have a very distinct dark comic style but you also get extra information during interactions with your crew when playing missions or when exploring your spacecraft. New discoveries are made, new friends/enemies will appear and you will slowly start to actually bond with your crew thus making the loss of a seasoned MechWarrior extremely frustrating and this will leave you with guilt and what-ifs. 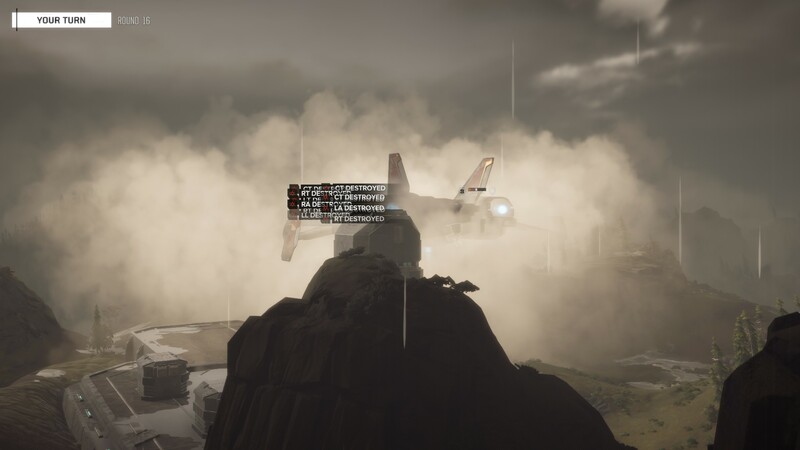 Visually BattleTech looks up to date with current technology, the game has a gritty look about it. The different worlds all feel unique while the Mechs and other units all have a high level of detail. Just by looking at a Mech, you can discern their layout, what category of Mech it is and perhaps even what kind of paintjob. The cinematic cameras which happens whenever an unit moves or attacks have a high degree of swaying and get quite repetitive at times but luckily you are able to lower the odds of these cameras popping up in the settings. BattleTech sounds how a Mech game should sound. In battles, lounging around the spaceship, basically anywhere you go, you will feel at home. It just fits, which raises your gaming experience to a higher level. There is nothing sweeter than hearing twenty Long Range Missiles slam into an enemy Mech (and nothing more frustrating to hear it happen to one of your own followed by your MechWarrior exclaiming “it pierced the armor and caused real damage”). Each of your MechWarriors (pilots) has their own unique voice and will be vocal during missions when they are given orders or when they come under attack. The only downside would be the fact that only the main storyline is voice acted and even then, not every dialogue. BattleTech is a top down turn based strategy game where you control a Lance of four MechWarriors to help House Arano reclaim their rightful throne while also doing the oddball jobs for other houses to stay in the mercenary business and out of the bankruptcy business. Your spaceship is where you repair/upgrade your Mechs/spaceship, buy/sell equipment, hiring new MechWarriors, accept contracts and much more. 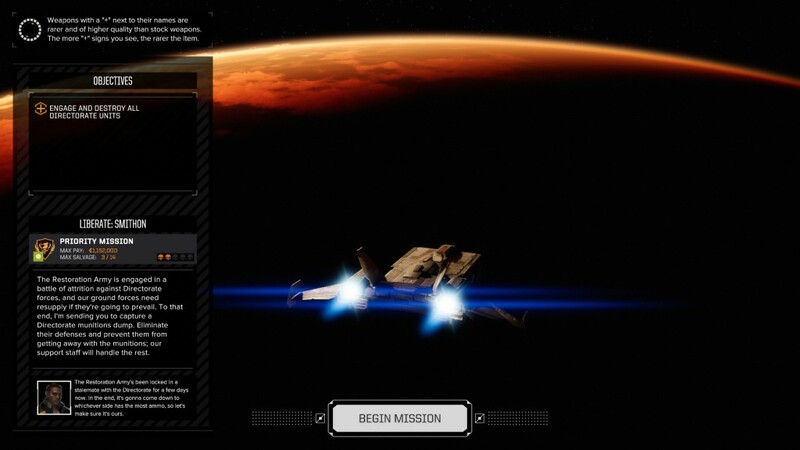 The actual gameplay is your standard top down turn based game but BattleTech does it very well: you can approach every contract with your unique playstyle and Lance. You prefer long-range fights? Have a scout tag the enemy and rain justice down from above. You’re more a fan of up close and personal fights? Get in melee range and pummel your opponents to the ground. The refreshing addition of focusing specific parts of enemies brings another layer to the game. With every attack, there is a chance you will disable specific parts on enemies such as a leg, an arm or even the head and these have a serious negative impact on the enemy. Take out a leg? They start limping and lose everything that was attached to that leg (which can include jump jets and ammunition for some of their weapons). But be warned, all the above can (and will) happen to your own units as well! The possibilities are limitless. Which brings us to some negative details in the game: in the current build, loading a save takes more than two minutes each time while there is no autosave function. The combat is very RNG based, so if you are someone who wants to keep their Mechs in working condition (if for example an arm is destroyed, you lose everything that was attached to that arm which can get quite costly) and to prevent your MechWarriors from dying so you save and load a lot, you will spend a lot of time reading the hints that appear on your screen while waiting to be actually playing the game. As mentioned before, there is no quick save function so every time you click ‘save game’ the game creates a new save file. If you do not clear your save history after every contract, loading times will increase even more. BattleTech is a worthy successor in the franchise and it opens its expansive lore to the people who don’t have experience with tabletop gaming. After playing this title, you might be interested into diving deeper in the storyline and in that case, you will be surprised by how deep you can dive as the storyline goes back all the way to the 1990’s, so you have about three decades worth of information you can soak up. You might even be tempted in purchasing the tabletop version and dabble in that area of gaming. 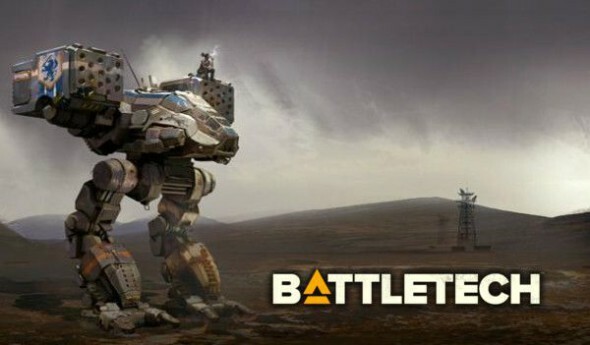 Long story short, right now it’s somewhat of a rough diamond but it’s still a diamond – if you are a fan of top down gaming, like a game with extensive lore or just like fighting with Mechs: BattleTech deserves a high spot on your wish list.